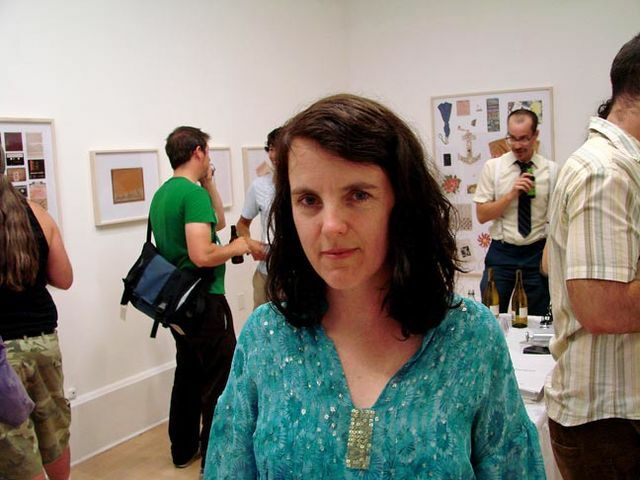 PNCA welcomes Tammy Rae Carland as part of the 2015-2016 MFA in Visual Studies visiting artist lecture series. Tammy Rae Carland was born in Portland, Maine in 1965. She received her MFA from UC Irvine, her BA from The Evergreen State College in Olympia Washington and attended the Whitney Independent Study Program. She is an Associate Professor at the California College of the Arts where she also Chairs the Photography Program. She is represented by Silverman Gallery in San Francisco and primarily works with photography, experimental video, and small run publications. Her work has been screened and exhibited in galleries and museums internationally including New York, Los Angeles, San Francisco, Berlin and Sydney, most recently in Alien She, at Museum of Contemporary Craft. Her photographs have been published in numerous books including The Passionate Camera; Queer Bodies of Desire and Lesbian Art in America. Her fanzine writing has been republished in A Girl’s Guide to Taking Over the World. She has also published photographs and received reviews of her work in numerous national media including: The New York Times, Big, The Los Angeles Times, Spin, Details, Out and The Village Voice. In the 1990’s Carland independently produced a series of influential fanzines, including I (heart) Amy Carter. She has collaborated on the record art of some seminal underground music releases for the bands Bikini Kill, The Fakes, and The Butchies. From 1997-2005 she co-ran Mr. Lady Records and Videos, an independent record label and video art distribution company that was dedicated to the production and distribution of queer and feminist culture. Tammy Rae Carland lives in Oakland California. See Tammy Rae Carland’s work in the exhibition, Alien She, on view through Jan. 9, 2016 at Museum of Contemporary Craft and 511 Gallery.